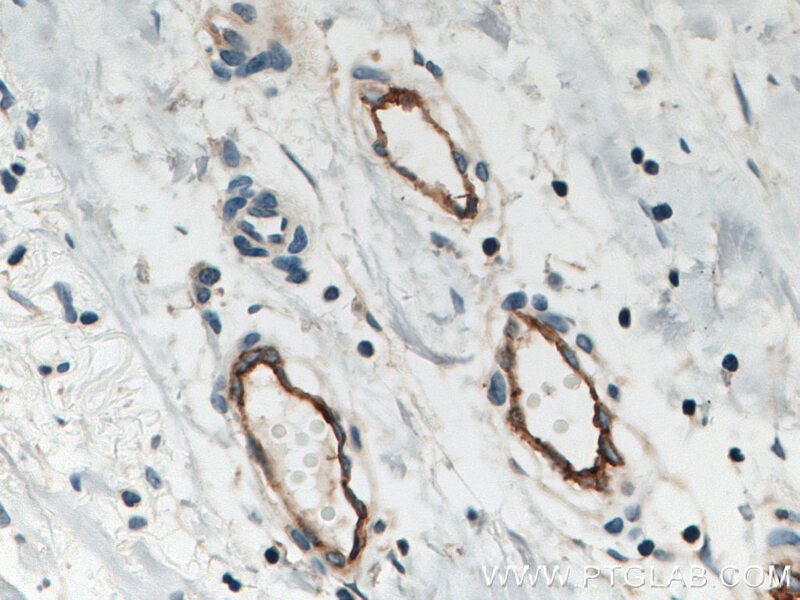 Immunohistochemical analysis of paraffin-embedded human breast cancer tissue slide using 10862-1-AP (Endoglin/CD105 antibody) at dilution of 1:4000 (under 10x lens) heat mediated antigen retrieved with Tris-EDTA buffer(pH9). 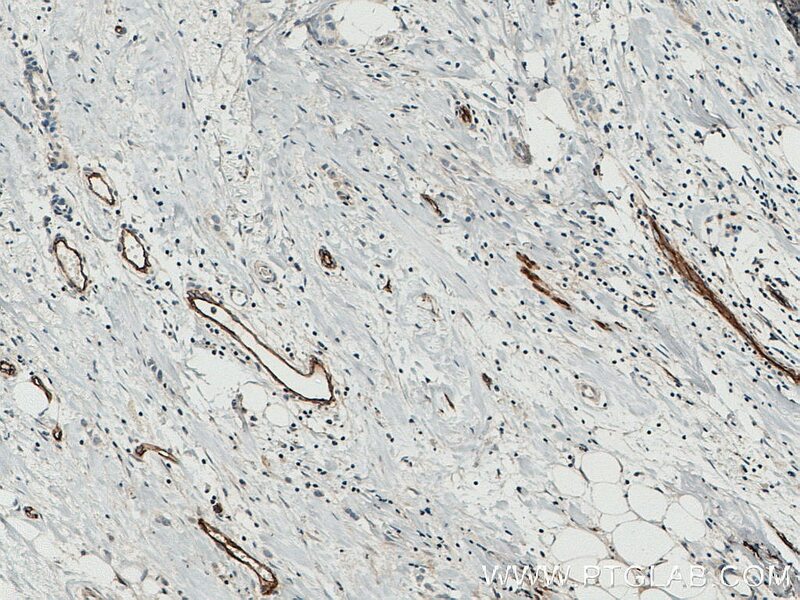 Immunohistochemical analysis of paraffin-embedded human breast cancer tissue slide using 10862-1-AP (Endoglin/CD105 antibody) at dilution of 1:4000 (under 40x lens) heat mediated antigen retrieved with Tris-EDTA buffer(pH9). 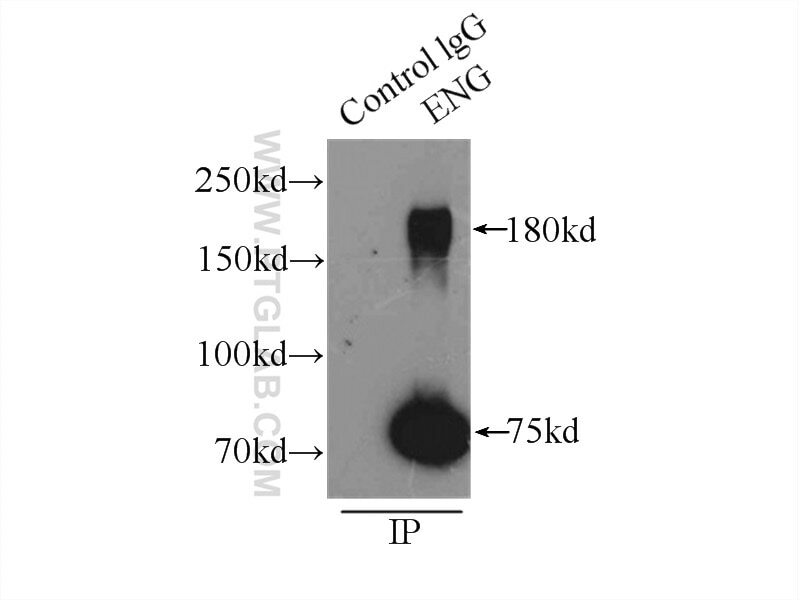 IP Result of anti-Endoglin/CD105 (IP:10862-1-AP, 3ug; Detection:10862-1-AP 1:300) with mouse lung tissue lysate 4000ug. Oxidative stress-induced S100B protein from placenta and amnion affects soluble Endoglin release from endothelial cells. Placental expression of anti-angiogenic proteins in mirror syndrome: a case report. Imbalance of angiogenic factors and avascular edematous cystic villi in a trisomy 13 pregnancy: a case report. MMP-14 aggravates onset of severe preeclampsia by mediating soluble endoglin release. Inhibiting transforming growth factor-β signaling regulates in vitro maintenance and differentiation of bovine bone marrow mesenchymal stem cells.